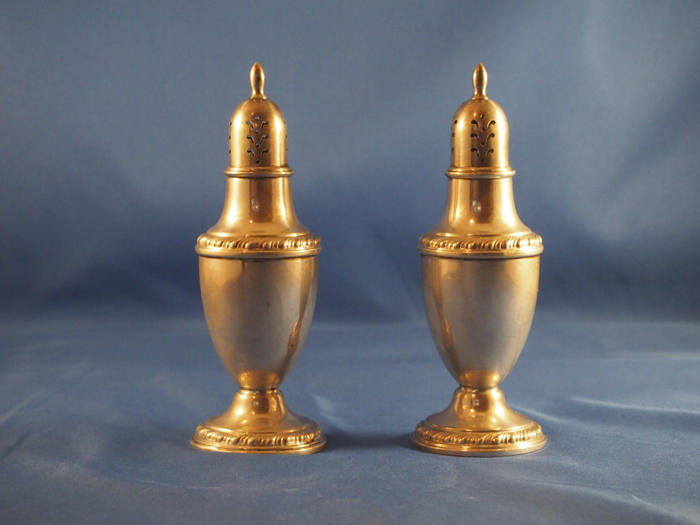 Pair of vintage Cornwell sterling silver weighted salt and pepper shakers. 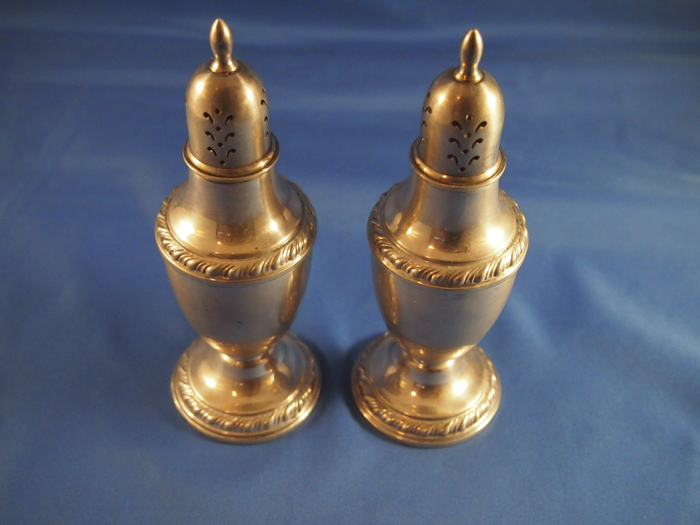 The shakers have the incised Cornwell mark on the base with “22”. Cornwell is an American silversmith. 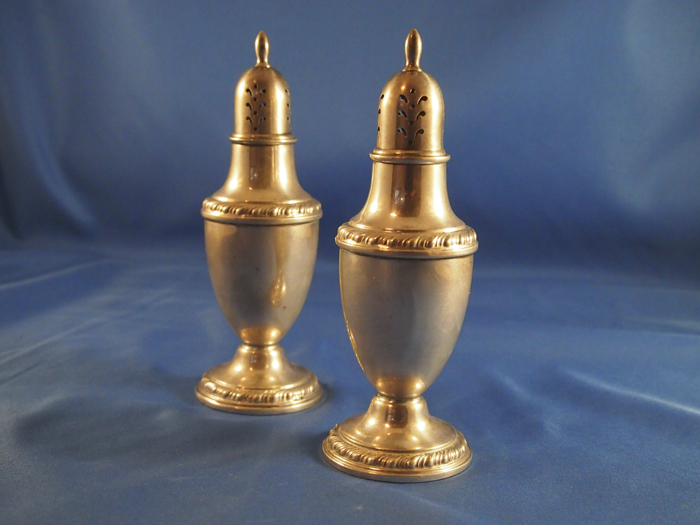 The shakers have a rope design around the base and at the top of the body where it tapers to the neck. 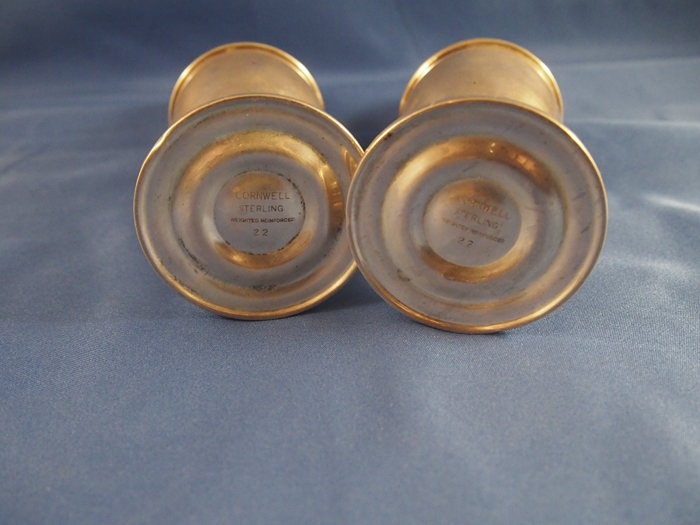 The sharers are 5 ¼” high and 2” in diameter. Each weighs 2.2 0zs. Excellent condition.